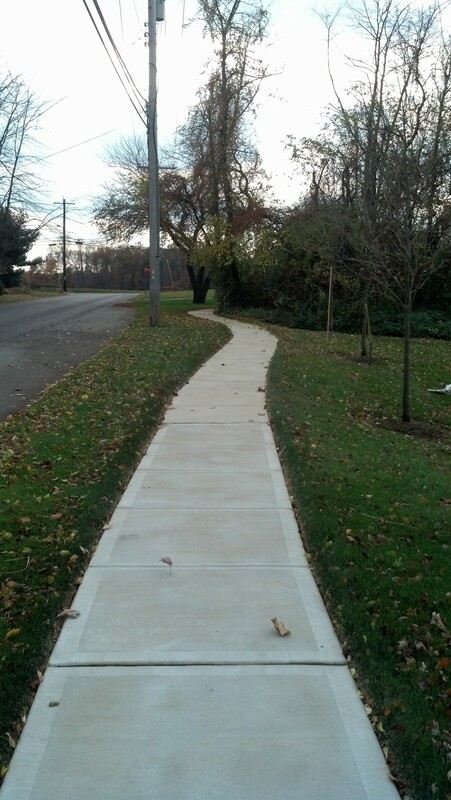 Does your driveway, sidewalk or concrete patio look tired and worn out? Your not alone. 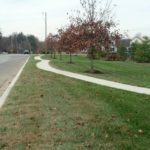 Whether it’s our cars, bikes, or just plain old foot traffic, the concrete areas around our homes tend to receive extremely heavy traffic. 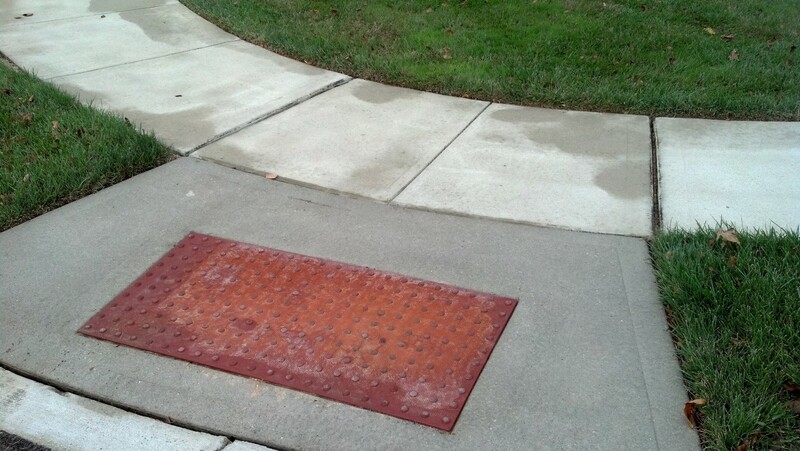 This can deposit dirt, mud, oil, and even mold and algae spores onto these surfaces. 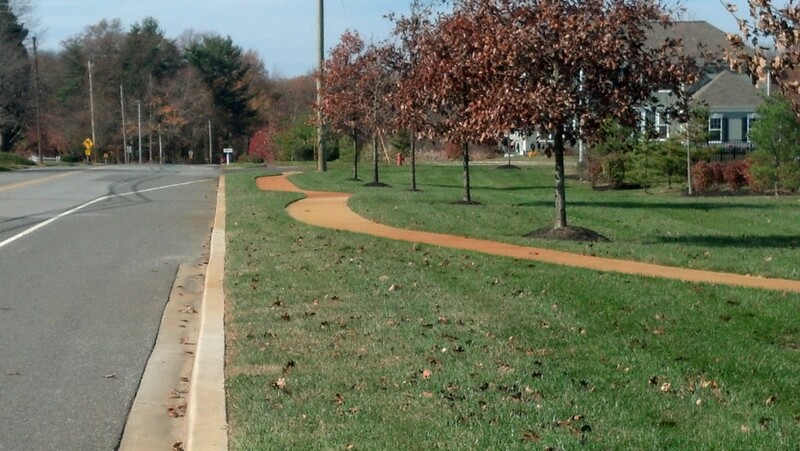 With the climate in New Jersey being what it is, it promotes the growth of algae and other containments. 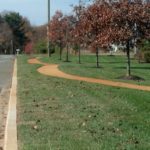 The end result is that after a relatively short period of time, what was once a bright white concrete surface can become dull and soiled in appearance. 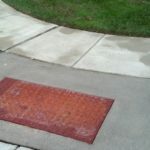 Not only does this soiled appearance bring down the curb appeal of your home, but it can also be dangerous. 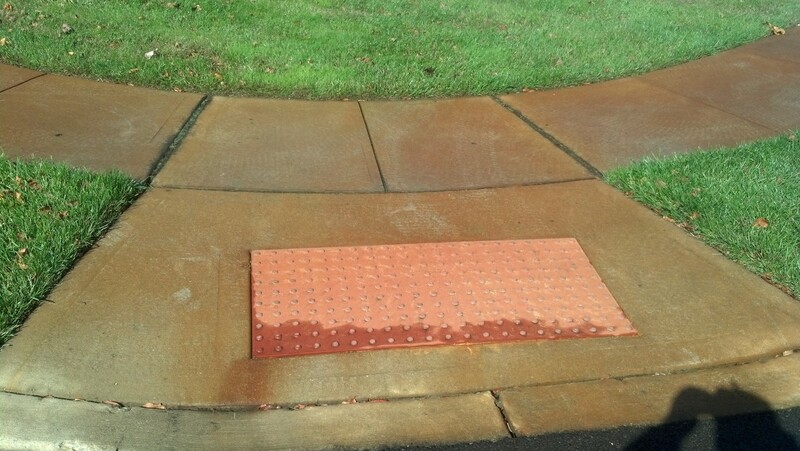 As dirt and algae become extremely slippery when wet, leading to slip and fall accidents. Without the expert concrete cleaning and power washing service that Diamond Roof Cleaning provides, even the most beautifully apportioned home will take a major hit to it’s curb appeal! 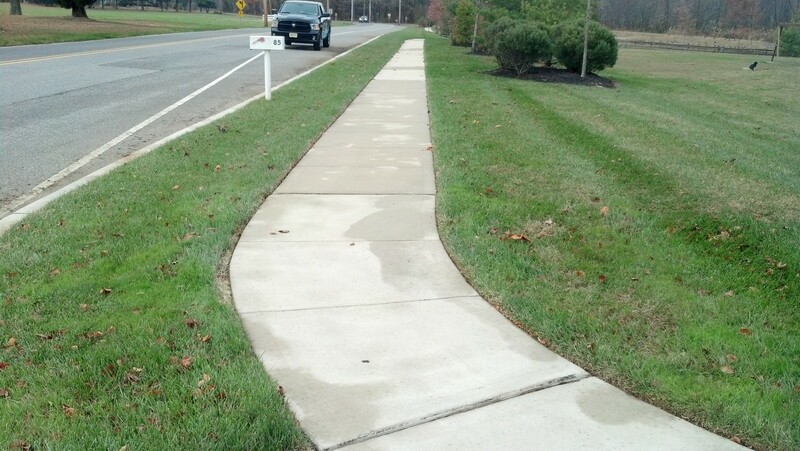 We use a surface cleaner that provides a 20 inch path of cleaning power to evenly clean your concrete surfaces. 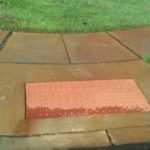 This removes all the contaminants that the surface cleaner has pulled up from the dirty concrete leaving you with a freshly cleaned walk or driveway. Power Washing service from Diamond Roof Cleaning is the easiest way to keep your concrete walkways looking fresh and clean. We combine our more than ten years of experience with state of the art, professional grade pressure washing equipment to form the most efficient pressure washing process in Southern New Jersey! Concrete is a very common building material. 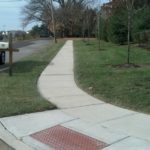 It is used for sidewalks, driveways, and even the stairs leading up to your house. It may also be used around your pool or deck. One of the main reasons it is used for so many purposes is its undeniable strength. 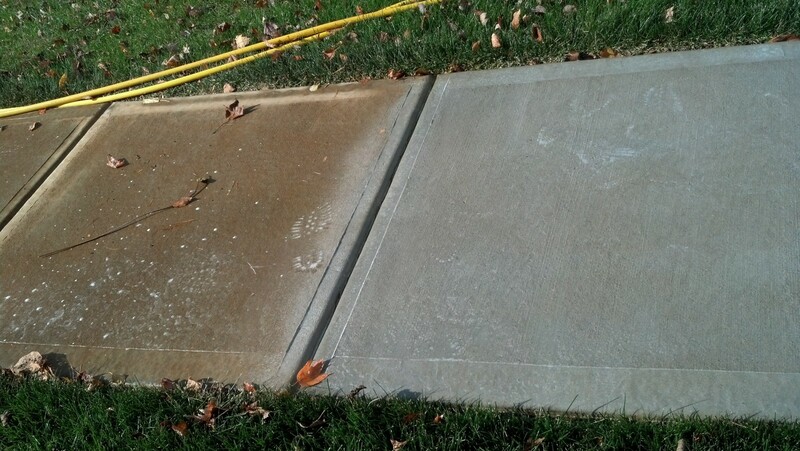 But in the hands of inexperienced or unqualified contractors, even concrete can be damaged…permanently. At Diamond Roof Cleaning, we have been power washing the Southern New Jersey for years. 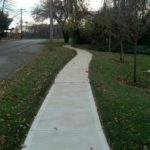 We know exactly the right amount of pressure to use to get your concrete looking it’s absolute best without damaging it! We also strive to make the process as convenient for you as possible. 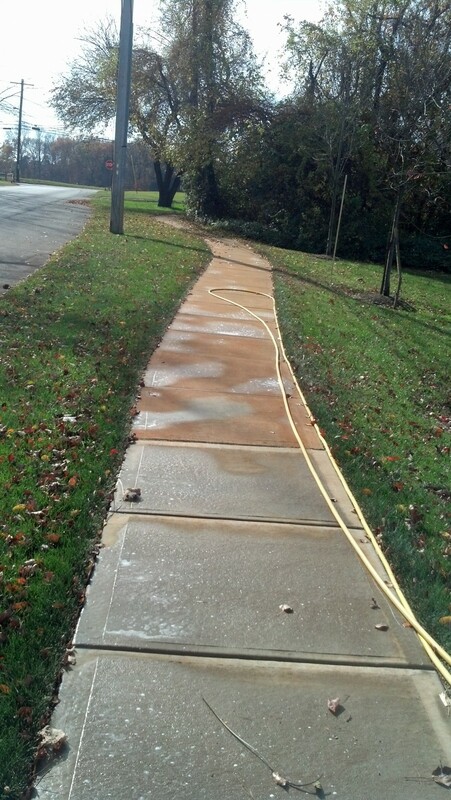 From our simple and direct estimates, to taking the time to thoroughly explains exactly what our concrete cleaning and power washing service will include, you will know that we operate with one thing in mind: your 100% satisfaction! But don’t take our word for it, check out our reviews on Google. Is the concrete around your pool deck covered in algae? Well if so, not only is it ugly but it is also dangerous for swimmers because they can slip and get seriously injured. Diamond roof cleaning can help you eradicate the problem and let you enjoy the beautiful pool that everyone wants to come to. Our power washing will remove and clean the area back to its original look, allowing you to enjoy your backyard again. 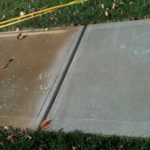 Look below at the before and after pictures to see the difference what concrete power washing can do for you. 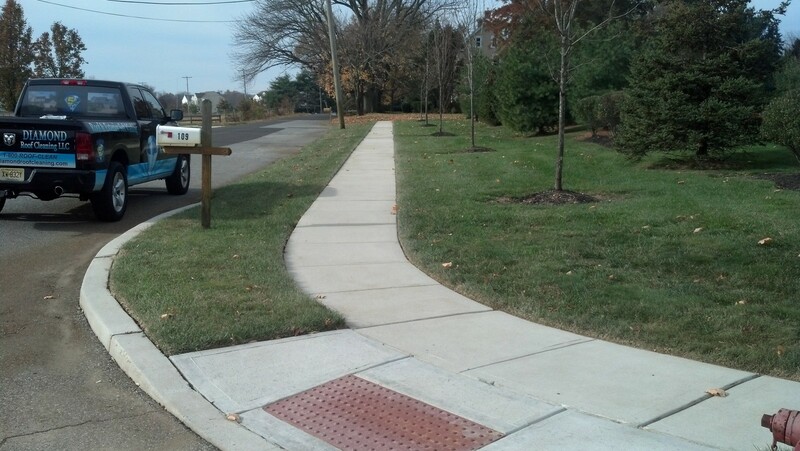 Driveways get used…A LOT. It’s no wonder that they tend to sow the wear and tear first. Dirt from car tires and foot traffic, engine oil, decaying leaves, and even fungus, mold and mildew can all contribute to a dirty appearance. 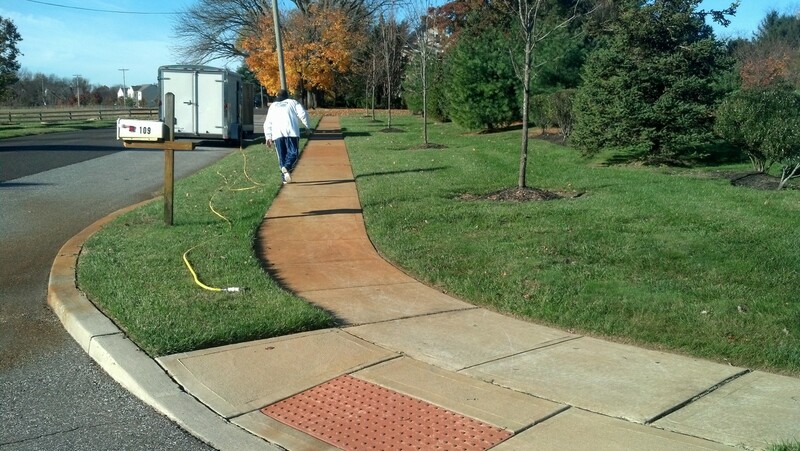 We have been helping homeowners like you get amazingly clean driveways for over 10 years. 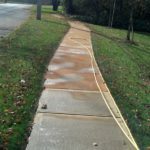 Our power washing professionals can eradicate any trace of these stains and enhance the overall curb appeal of your home! 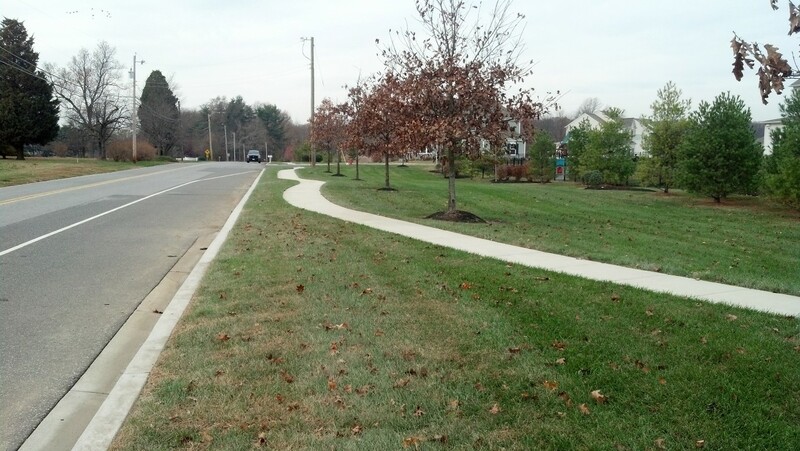 The condition of your sidewalks can greatly contribute to the overall curb appeal of your home. 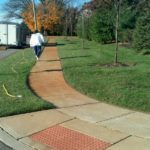 But, like other concrete areas, they can become quite an eyesore as dirt, mold, mildew and even fertilizer and rust stains build up. 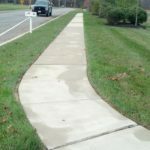 Our power washing service is a great way to not only restore the bright and fresh appearance of your sidewalks but to also make sure that they continue to be safe to walk and play on.